If you have purchased Kon-Boot for macOS/OSX this is the right place for you. If you have purchased kon-boot 2in1 version and you are looking for the installation tutorial please see the Kon-Boot for Windows GUIDE (please note that as stated on our website kon-boot 2in1 can be installed only on Windows). Kon-Boot for Apple Mac OSX systems allows the user to login into the system without knowing the previous passwords and user names. Kon-Boot will either allow you to login into selected account without knowing the password (bypass mode) or it will create new "root" account for you (new-account mode) from which you will be able to change other users passwords as needed. Have you lost your password? Kon-Boot can help! Our software works by virtually modifying the UEFI bios and then modifying parts of the OSX kernel. Such changes are only made in virtual memory and they disappear after computer reboot. 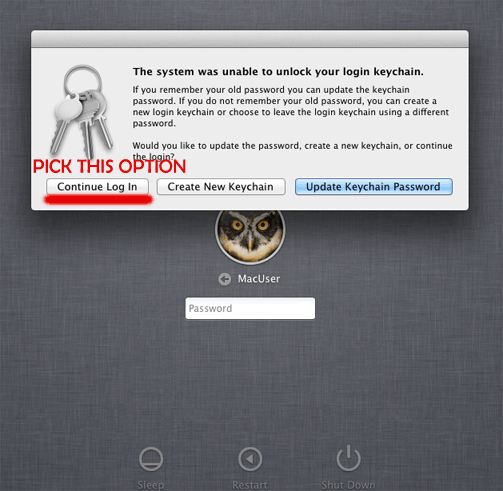 Bypass feature is supported on OSX 10.7, OSX 10.8, OSX 10.9, OSX 10.10, OSX 10. 11, macOS Sierra (10.12), macOS High Sierra (10.13) (OSX 10.6 support is experimental). Apple machines with T2 chip (2018 and newer) are not supported unless (SecureBoot is disabled and booting from external media is enabled). Please note that CD version is no longer available since kon-boot v1.7 (the old one (1.6) is still included in the archive). Internet connection is required for the installed to work. Kon-boot can be only installed using the original installer. One kon-boot license permits the user to install kon-boot on only one USB device (USB pendrive). Kon-Boot 2in1 can be only installed on USB thumb drive (there is no .ISO in the package). Windows system is required for the installation. Please see Kon-Boot for Windows GUIDE for details. Please use USB pendrive manufactured by reputable company like KINGSTON, SANDISK, SONY (max 16GB in capacity). Please don't use USB pendrives from "NO-NAME" companies - they may cause problems on various BIOSES. Since version v1.2 kon-boot offers automatic installation on OSX systems. Navigate to the main kon-boot directory, locate the "MACInstaller" file. Bypass mode allows you to login into any selected account without knowing the password. All changes are only made to virtual memory meaning all changes caused by kon-boot are gone after computer reboots. Please note that CD version is no longer maintained (last available version is 1.6). Extract your Kon-Boot package to the directory of your choice. In the folder to which you have extracted the .zip archive please locate the "konboot.iso" file (in "CD_ISO" directory). Select the "konboot.iso". Right click on it and pick "Open with Disk Utility" option. In the "Disk utility" window once again please select the "konboot.iso" and click "Burn". Proceed to the burning process of your CD. You are ready to use Kon-Boot for Macs. Reboot your target Mac machine (with your Kon-Boot media inserted) while pressing the option key (left alt). Pick the "EFI boot" option from the boot manager. Please note: this method works only till version 1.6; version 1.7 must be installed using automatic installer. Now pick the "Partition" option (still in the Disk Utility window) and select "1 Partition" from the Partition Layout box. Now click "Options" below and make sure the "Master Boot Record" option is selected. Click "Apply" and later "Partition" to proceed. Now please copy the "EFI" folder from the package you have received to the top directory of your USB thumb drive. Please visit the Contact us / Support page for details. Copyright © 2012- Piotr Bania / LEAD 82.